Have RSI from all the mindless swiping you've been doing? Sapio curbs the urge to swipe hastily by giving you a chance to learn about people's personality through the open-ended questions they've answered on their profile. Among the most commonly used words in Tinder bios is the word ‘sapiosexual.’ No, it’s not illegal to be one anywhere, and yes, it’s a little pretentious. But it does a good job of signaling that you’re on the lookout for someone who possesses a modicum of intelligence to complement their looks. “This term has experienced explosive growth, likely due to the strong backlash to hookup culture and superficial swipe-only apps,” says Kristin Tynski. But saying you’re sapiosexual on Tinder is tantamount to humming Bohemian Rhapsody at a Blink 182 concert. You’re going to get drowned out by the noise. It’s why Tynski founded Sapio, a new app for Android and iPhone that attempts to make online dating a more fun and productive experience for those who prize more than just good looks (although that’s perfectly fine as well). To counter the skin-deep ethos of current dating apps, Sapio gives people a chance to really reveal their personality on their profile. And not just with the standard ‘Bio’ section, but using hundreds of questions that explore everything from hobbies, to ethical leanings, and personal goals. 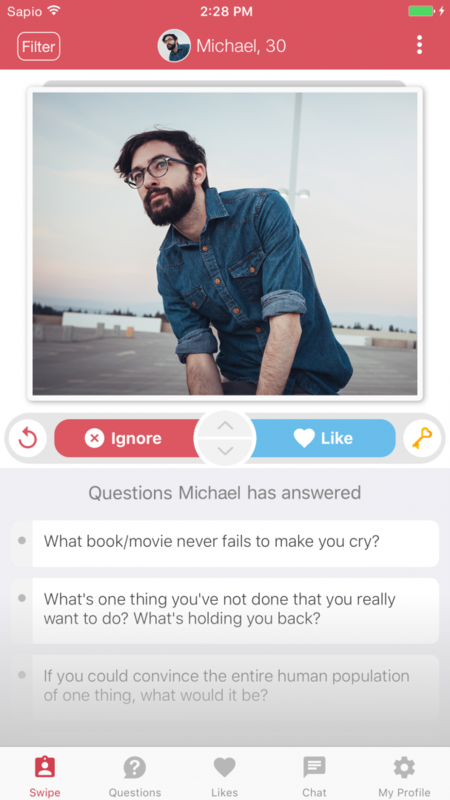 You don’t have to answer all the questions; however, if you want to view a particular user’s answer to a question, you must answer it yourself or spend in-app currency. You can earn that currency either by answering other questions or purchasing it with actual money. Of course, profiles still include people’s pictures. And of course, appearances are still going to factor into a person’s choice to ‘Like’ or ‘Ignore’ a particular profile; the attempt isn’t to rewrite evolutionary dynamics. That said, Sapio gives people the opportunity to reveal how they think about important issues and that they think in general, which is important for any relationship to last. As with any such app, reaching a critical mass of users will be essential to delivering the desired user experience. Tynski concedes that onboarding in large numbers will be an important and difficult challenge. However, the volume problem hasn’t hindered those who do use the app from spending time on it. “Because one of Sapio’s most interesting and fun components comes from exploring how other people answer fascinating questions, there is a lot to keep people using the app, even before there are a ton of users in their area,” she says. Apart from finding users, the Sapio team has been working hard to “continue refining Sapio’s features, improve app efficiency and scalability, reduce bugs/crashes, and make it one of the best and most fun dating app experiences available.” Given its unique features and the possibility of finding a like-minded partner, it makes sense that Sapio has been getting the right-swipe from its users. Like all apps like this one that I have tried before, I will give it a try. I will be honest and I will see what I am up for. I am guessing that I will be disappointed, but the app cannot help where I live and the options that I might have around here for dating. The questions that you put on the profile are a great way to get people categorized, that is for sure. 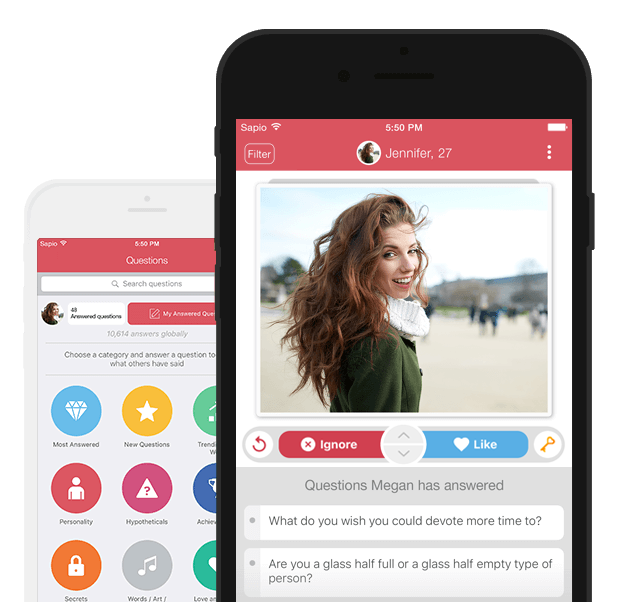 I like the idea, I just see it turning into every other dating app that I have used over the years. Personally, I like the questions part of the profile. 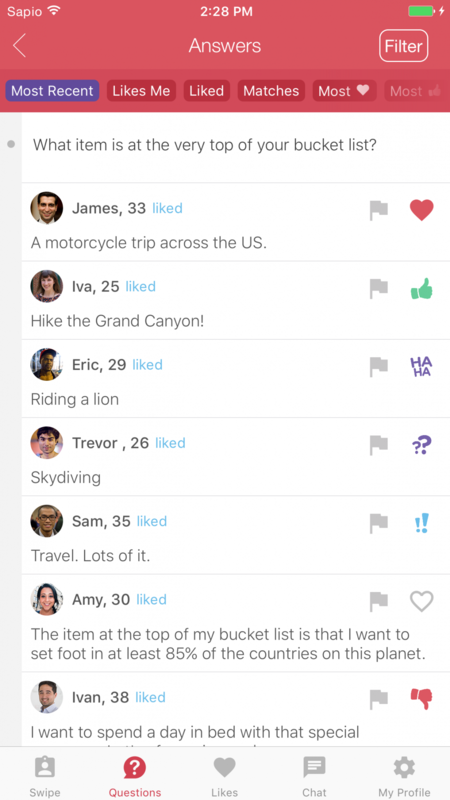 They would be easy to answer, would group you very quickly via the app and can help the “looker” filter out the results. If someone spends 10 minutes answering questions to beef up the profile, you know they are in it for the long term and are at least worth looking into.